Regular scale & clean is essential to remove stains and calculus build up that develops on your teeth. Teeth cleaning is done as part of a regular dental check up. During your appointment, Dr Singh will check your teeth, gums, overall mouth and also evaluate your brushing and flossing by checking in between your teeth while cleaning. After examining and cleaning your teeth, Dr Singh will recommend a personalized advice on how to maintain healthy teeth and gums to avoid long term problems. Don’t wait to see your dentist until you have dental issues. Most of the problems can be detected and diagnosed, before you start experiencing pain or discomfort. To remove the tartar and build up, your dentist will first use an Ultrasonic Scaler and then handheld instruments. After removing the build-up, the dentist will polish the teeth and make the teeth surfaces clean and smooth. Polishing teeth removes stains and minor imperfections on teeth surface and reduces future plaque build up. Your Dentist will advice you how often you need a scale and clean – 6 monthly or yearly. 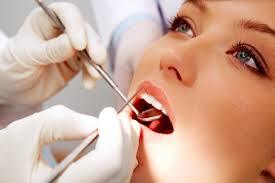 Professional dental cleaning is an addition to a good daily oral care routine. You should still brush and floss your teeth twice a day, choose healthy foods, avoid sugary acidic drinks and smoking. Plaque and stain removal – Plaque builds up on our teeth over time, which can cause bad breath, gum recession, decay and discolouration of teeth. Professional scale and cleaning removes plaque build up from your teeth and gives you clean teeth. After cleaning your teeth, the dentist will polish and floss your teeth and if required will give you a fluoride treatment. Prevents gum disease, Bleeding gums – Gum recession and bleeding gums can be prevented with a regular scale and clean. Usually the build up on teeth causes gums to recede, resulting in exposed tooth roots leading to loose teeth. Gum disease is caused by your body’s inflammatory reaction to bacteria in plaque. The best way to remove plaque on a daily basis is to use a soft-bristle brush with circular motions and floss your teeth to clean in-between. Healthy beautiful smile – Scale and cleaning gives you a fresh clean smile. After cleaning your teeth, the dentist will polish them resulting in removal of stains and discolouration. Freshen your breath – If you are suffering from bad breath, removal of tartar build up will reduce bad breath.